It looks like the people at BOC (Black Out Concept) are now 'modifying' Panerai watches. 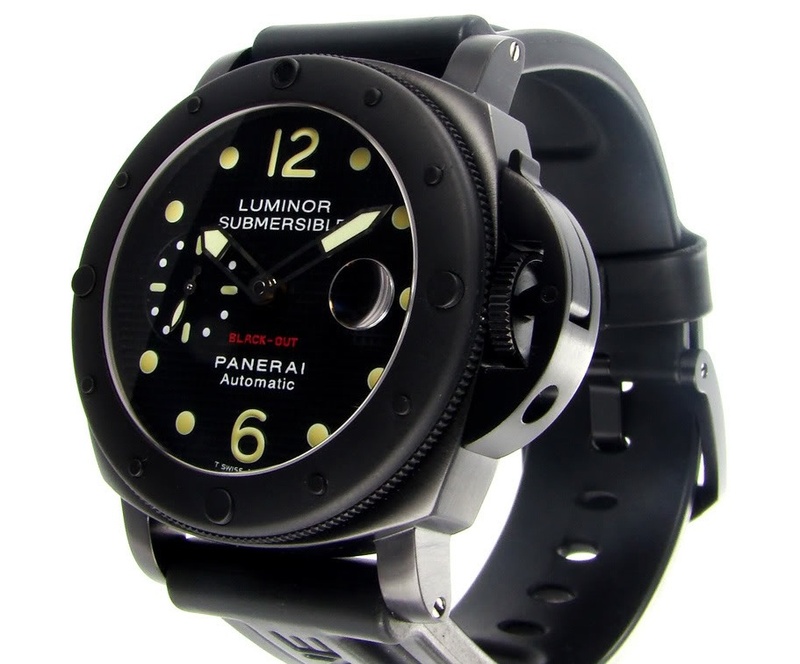 Their product offering now extends beyond modified Rolex to cover Panerai as well. BOC was founded by Fabrice Letellier in 2007. It is a Swiss Luxury brand name specialising in the design and creation of art objects. Some examples of BOC customization. 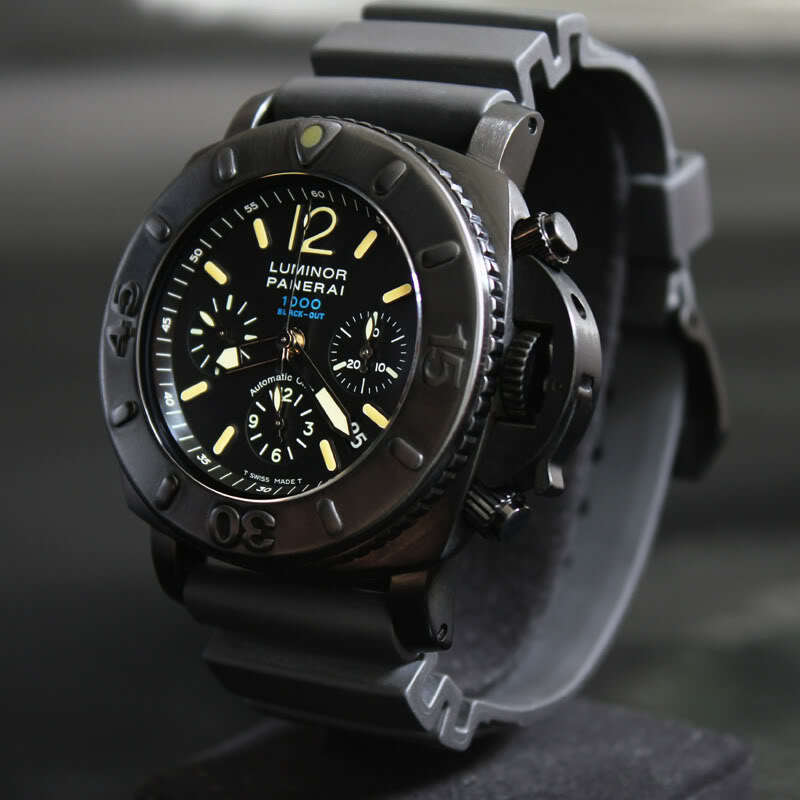 PAM00187 Submersible Chronograph 1000M 47 mm. 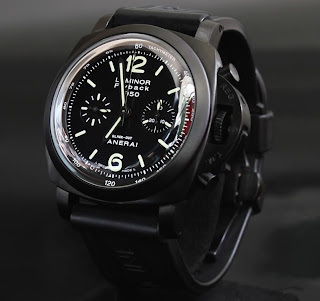 I have to say that the watches looks very interesting. 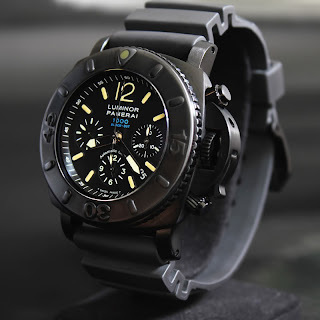 BOC is very confident of their customisation and offers a 10 years guarantee for each customised watch. If you are interested to have your Panerai customised, the cost would be around CHF 4,900.